Have you changed your light bulbs to LED yet? It’s time to look and see what savings can be made if you do. 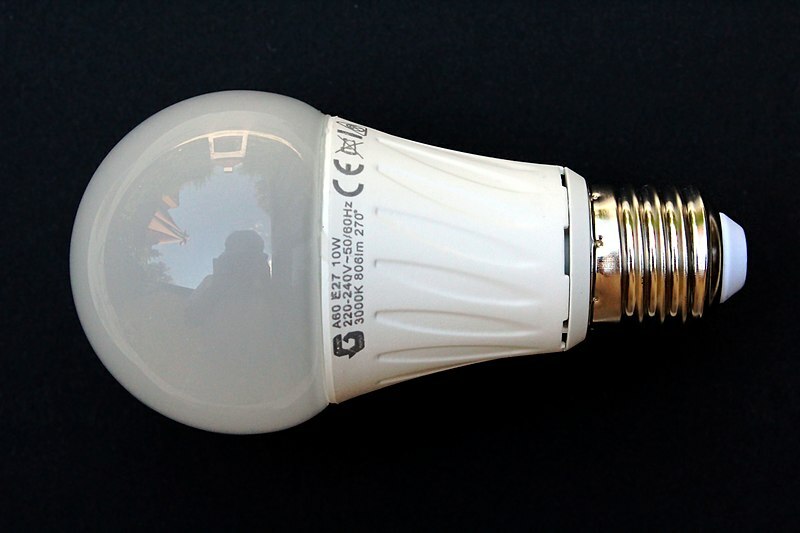 We have all heard the hype about how much better LED lights are because of the reduced amount of electricity they use. For many of us this is something we have put to the back of our minds thinking that we will wait until the old bulbs wear out before we change them. Having looked at the difference in energy usage between the normal incandescent bulbs and LED bulbs, this is something we should be doing now. One of the easiest ways to explain this is to tell you the story of my house today. Today it was snowing, not exactly a bright morning so when I opened the curtains I switched on my stand alone uplighter which runs on a single 100w bulb. It didn’t really make that much of a difference, but it made enough for me to leave it on throughout the day. The reason I did this is because the I have two ceiling lights in my lounge and the light fittings have 3 bulbs each. I thought that this would be more energy efficient and therefore cost me less than using my ceiling lights. As my electricity tariff is Total Heating Control, I pay much more per unit for my lighting and sockets than I do for my heating. So using one bulb versus 6 bulbs made sense. That was until my partner (an electrician) went to switch it off telling me that I had just cost myself more in a few hours than my ceiling lights would have cost me in a week. Obviously, I couldn’t understand this so demanded a layman’s terms explanation. My single 100w bulb cost me a unit of electricity with 10 hours of burning. A single LED bulb would cost me a unit of electricity after 111 hours of burning. This meant that my six LED bulbs would take over 18 hours of burning to cost me a single unit of electricity. I had increased my electricity costs by almost double by using one incandescent bulb instead of 6 LED bulbs. The savings to be had by switching to LED bulbs is significant and is something that everyone should be looking at sooner rather than later.